Starting your own blog can be fun and rewarding, but understanding which platform to use can be intimidating if you're new to blogging. There are a number of free blogging platforms that will get your message out, each targeting specific types of users. According to WordPress founder Matt Mullenweg, nearly 19 percent of the Web is powered by WordPress. The popularity of WordPress is probably due to the simplicity of starting a blog with the platform. Their marketing material claims you can get a blog up and running in five minutes - and that is actually true for many people. WordPress offers two options: (1) use their online system, which means your domain name would be yourdomainname.WordPress.com or (2) a self-contained content management system (CMS) you load to a server. The second option lets you choose a domain name without placing WordPress in the URL. For a fee, you can use the online service and have it go directly to www.yourname.com. If you are a beginner, you may find some of the widgets and themes a little overwhelming, but simplify the process by selecting a free basic theme and foregoing widgets until you have spent some time inside the program. Once you have blogged for awhile, browse through the many online tutorials to master widgets and themes to improve your blog's look and feel. 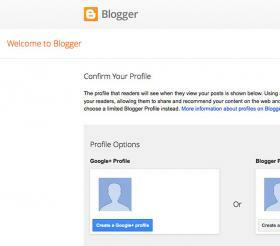 Part of the Google brand, Blogger is one of the first blogging platforms introduced. Rated Excellent by PC Mag, Blogger remains one of the easiest blogging tools on the Web, and it received a much-needed rich text editor in 2011. To use the platform, all you need is a gmail account. Its intuitive dashboard keeps the blog simple to use and easy to set up. 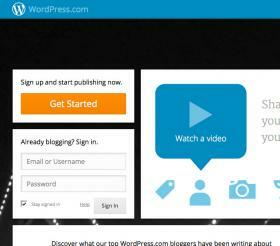 As with the WordPress online system, your domain name will include the blogging platform's name (yourname.blogger.com). If you want a custom domain name, it's only $10 a year - with free storage. WordPress charges $17 for the same service. 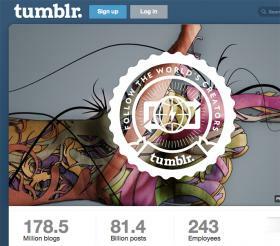 Because it combines social media with blogging, Tumblr users tend to curate - rather than create - content. Owned by Yahoo, the platform is popular with the 18-to-25 year-old demographic because of its Facebook and Twitter-like attributes that let you easily re-blog other's content to your blog. It also tends to be more photo-centric than other blogging options since mobile uploads are easy to do with the platform. You only need two things to create an account: a valid email address and a username. If you are trying to create or promote a brand, make sure your username fits into your overall marketing plan because the username is part of your URL and is visible to everyone. (However, if later you decide you don't like the username, you can change it in your settings). 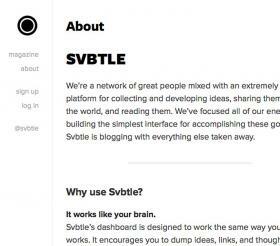 The underlying mission of Svbtle is to create a tool that enables the creation of high quality Web content by getting out of the writer's way. The layout of the blog is distinctively clean and word-driven. When the platform first launched, accounts were invitation-only so the owners could ensure a high-quality CMS on a site filled with quality information. The site is now open to anyone. The dashboard is designed to work like your brain, site developers say. With its minimalist design, you can quickly jot down ideas to later work into published content. If the platform continues to gain popularity it will create a niche for itself just by the quality of the site's information. Quora is another platform trying to zero in on quality instead of quantity. Originally, this site was a question/answer forum catering to experts. However, proving if someone is an expert is difficult, because even though a person's credentials are listed when they answer a question, no system is currently in place to verify the validity of the person's claims. In addition to the forum aspect of the site, users can create a blog to more fully develop content instead of just asking or answering questions. One of the nice features of this platform is that it brings the audience to you, overcoming a common weakness of platforms like Blogger and WordPress where developing an audience is a key challenge. 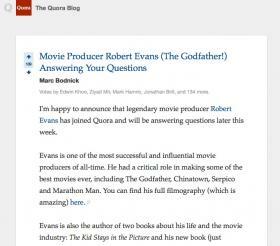 When you write a blog on Quora, you tag it with a topic. The topic tag automatically places your entry into that topic's feed, sending your content directly to users. Although it may be impossible to foresee exactly where you are going with a blog, make sure you have a strong understanding of what you are trying to accomplish. Choosing the right platform is important, but creating quality content is also essential. At least 500,000 posts go live on the Web everyday. If you want your blog to stand out, you need to understand what you are trying to accomplish. With every entry, you should ask yourself what the user will gain from reading your content.